The carcases of double-muscled cattle kill out up to 19% higher than cattle that don’t exhibit double muscling. This is due to a combination of increased muscle mass, reduced body fat, reduced bone mass & smaller internal organs. When muscle weight gain per unit energy intake is taken in to account, double-muscled cattle have better feed efficiency. Meat from double-muscled cattle tends to be of better quality due to a combination of increased tenderness, reduced fat content & a higher proportion of polyunsaturated fats. The presence of Myostatin mutations has a beneficial effect on the carcass traits. 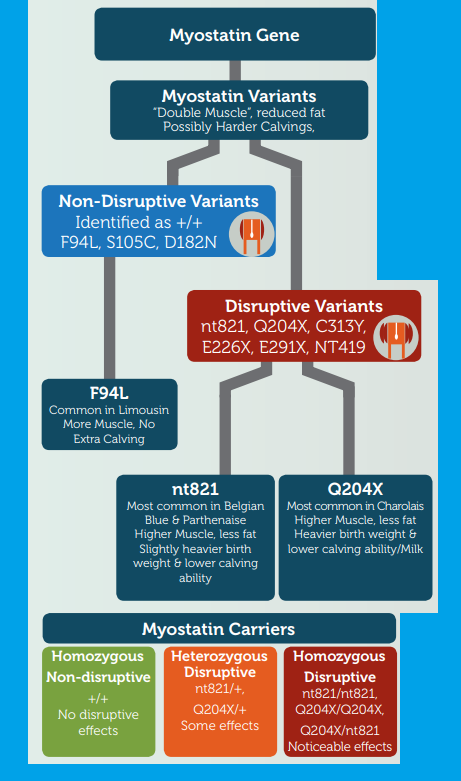 However, difficulties may occur when carriers of the six disruptive MH variants are mated to each other leading to the potential for calving difficulty as a result of increased birth weight/compromised calving ability. This however can be avoided through knowledge of the status of both the male & the female in the mating. 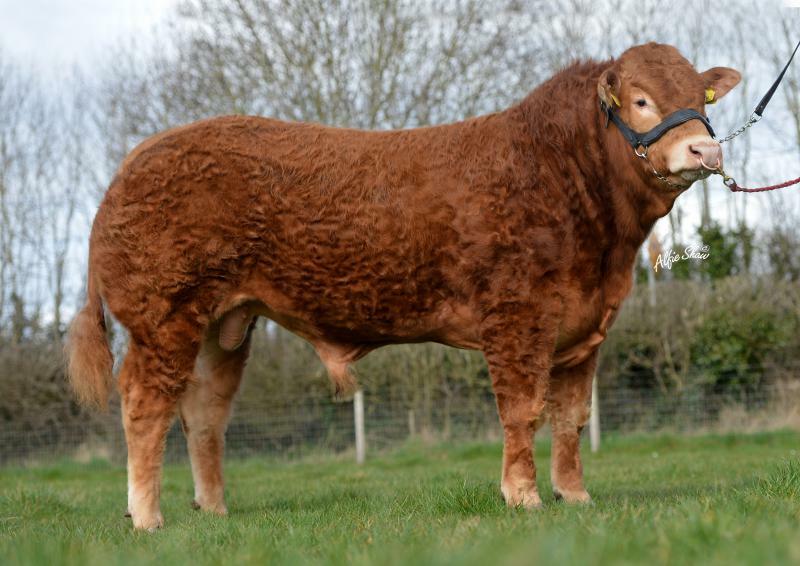 Variant F94L, sometimes called ‘the profit gene’ has a high frequency in Limousin and Aubrac cattle; many have two copies i.e. are homozygous. This variant has been found to increase the size of muscle fibres with no associated increase in calving difficulty, or lowered fertility or longevity (non-disruptive). 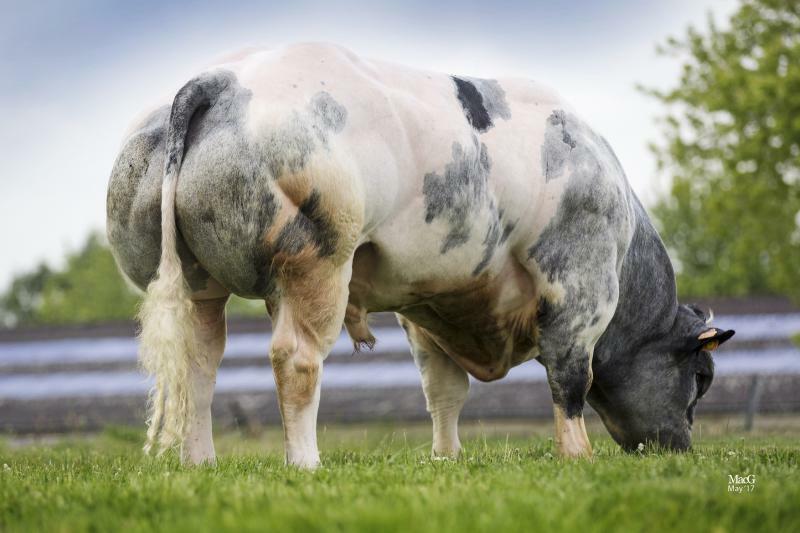 Variant nt821 is commonly found in the Belgian Blue & Parthenaise breeds with lower frequency occurring in the Limousin, Shorthorn & Angus breeds. Homozygous animals exhibit: greater loin depths, large rounded rump & thighs, reduced fat cover & greater meat tenderness. However, unlike F94L, homozygous animals may also have slightly heavier birth weights & compromised calving ability in the females. Heterozygous animals (nt821/+) exhibit the above characteristics albeit to a lesser extent. Variant Q204X is commonly found in the Charolais breed & with lower frequency in the Limousin breed. Homozygous animals exhibit: greater loin depths, large rounded rump & thighs, reduced fat cover & greater meat tenderness. However, they may also have heavier birth weights & slightly reduced milking ability & calving ability in females. Heterozygous animals (Q204X/+) exhibit the above characteristics albeit to a lesser extent. Elite Ice Cream LM2206 unusally for a Limousin carries one copy of the Q204x (& F94L). Recommendations Genotype all of your females. The myostatin status can be ascertained by Weatherbys once the genotype has been done. If you want a MH-free herd (+/+), eliminate the carrier breeding females & use non-carrier sires only. If you want to reap the improved carcass benefits of MH+ animals whilst limiting the negative aspects, then work with heterozygous animals e.g. (nt821/+), (Q204X/+). Do not mate heterozygous males with heterozygous females. Mate noncarrier females with heterozygous/ homozygous bulls. Continue to genotype both breeding females & males to establish the MH status pre-breeding. In addition, assess calving ability of the female using visual assessment & the daughter calving index. If you want to breed animals with extreme muscling use homozygous bulls with heterozygous/homozygous females. Beware that the extra muscling may result in increased birth weights & reduced calving ability of females. A Myostatin genotype is a further item of information that will help you achieve your breeding goals, when used in conjunction with the index, knowledge of the pedigree & visual assessment. The status of our sires is available in the catalogue & online. In line with our policy of providing all of the information we have available on our sires, we have printed the Myostatin status of all of our bulls in our beef catalogues for the past year. The status of your females can be ascertained through genotyping. Knowing the status of both parents helps you, the breeder, to tailor the desired outcome of a mating to your preference.